When my grandfather, dad, uncle and aunt ran the daily newspapers in Green Bay and Appleton from the 1930s to the 1980s, it was the heyday of print journalism. The papers were fat with news and advertising content. They invested in full staffs of fine journalists, some of whom made their way to careers on the metro papers in Milwaukee. They were close to being to unregulated monopolies, with competition only from broadcast and free shopper’s guides. As a result, profits were excellent. So much so that local newspapers sold for 40 times earnings, an astronomical multiple. Those prices were hard for second and third generation owners to pass up, and most didn’t. They sold and hit the beach. From today’s perspective, they were smart sellers. They may not have seen the Internet disruptions down the road, but their timing was near perfect. The buyers in the 1980s and into the 1990s were newspaper chains like Thompson and Gannett, which wanted even higher profits. Operating margin percentages in the mid-to-high 30s were not good enough. Editorial staffs were cut; journalist pay went lower; pages sizes were reduced to save paper costs; and the operating margins went into the 40s. The Post Corporation newspapers in Green Bay and Appleton first sold to George Gillett, a hot shot deal guy who immediately flipped them to Thompson, which later sold them and other Wisconsin papers to Gannett. The newspaper chains had a good run time until the Internet torpedoed their business segments. If they had recognized they were in the information business, not just the news business, they would have preempted Craig’s List, Zillow, Urban Spoon, Monster, Nexus and Lexis. They watched with disbelief as those new players and their ilk stole their advertising bases. Their inability to adapt to disruptive innovation carried over to news as Google and web-based startups jumped past them. With the exception of the Wall Street Journal and New York Times, publishers are working desperately to monetize their content. Less than 10 percent of their revenues come from their on-line operations. Steve Smith, former CEO of Journal Communications, essentially declared defeat when he split the company in half in early 2015, one half going into a broadcasting company and the newspaper half merged with the E.W. Scripps chain. A half year later, that chain has been sold, this time to Gannett, which will own 96 papers. 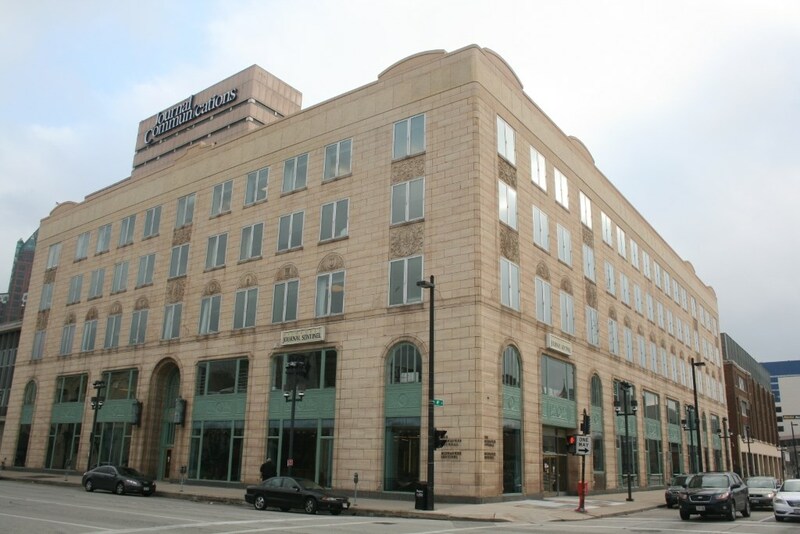 The Milwaukee Journal Sentinel had already been repeatedly downsized prior to the Scripps merger, including a round of cuts before the deal closed. The editorial staff is now about one-third of what it was in the combined newsrooms of the Journal and Sentinel in the early 1990s. Even though coverage has shrunk, what’s left of the journalism is still excellent, thanks in large part to local ownership. Gannett spokespeople, of course, are saying nothing will change in terms of local control of the editorial content. Chalk that up to corporate-speak. The Gannett formula has been tight cost disciplines — skimpier papers, smaller staffs, publishers rotating in and out every five years or so. You can see it plainly in its ten Wisconsin newspapers, pretty thin specimens all. The chain headquarters is in now near McLean, Virginia, near the center of national power. Expect the major resource and personnel shots to be called from there. The M7 Region has lost a corporate headquarter, never a good thing, though community and state leadership from The Journal has been on the wane for a decade or more. It is a given that the corporate staff will be gone. The downtown offices will be sold. There will be some advantages from the conglomerated Gannett operation in Wisconsin and across the country. On the plus side, the Gannett newspapers in the state will share stories. The local news holes will be partially filled by stories from elsewhere. On the down side, that will allow the chain to employ fewer local news reporters. What will happen to the fine Journal Sentinel state and national bureaus in Madison and D.C.? Will Craig Gilbert, the paper’s excellent national political reporter who covers Wisconsin angles, survive? He could be absorbed into Gannett’s D.C. office. The Journal Sentinel has an excellent Madison bureau that could be consolidated with Gannett’s bureau there. A position or two could then be cut from the combined bureau. Will Gannett give a reporter a beat that covers nothing but the Great Lakes, which face critical challenges? Doubtful. In general, I am not optimistic about the quantity and quality of journalism for Southeastern Wisconsin going forward. The bloggers can’t make up for that loss; most do opinion, not news. And broadcast reporters don’t dig very deep. Public radio and TV news are resource scarce; they do some reporting but not a lot. There are a lot of new sources of news, such as the Kaiser News Service on health care issues. But, like news sources in other parts of the world, most have a worldview that is not objective. I was hoping a benevolent billionaire would buy The Journal/Sentinel, but it didn’t happen. Sorry to be so gloomy, but it’s hard not to be look back to days when print journalism was confident, well-resourced and passionate about their home towns. It was so much fun that news guys like me should have paid for our privileged positions. We didn’t make much, but were paid enough to get by and we had front row seats at the circus. The only question is when the new HQ will decamp to its readers’ base of New Berlin or West Bend. Maybe they’ll make it Brookfield… it gives their regular readers the idea it’s a sophisticated operation. I’m curious about a paywall going forward. The current JSOnline monthly fee is around $5. This gets you access to their website, IPad app. and smartphone app. Not a bad deal. Do the other Gannett papers in Wisconsin have a paywall and if so, how much? One thing that’s been noticeable since the split is the low-quality and scare resources that go into the JS smartphone app. When it works, which is sketchy, its decent. All too often it has log-in issues and presents difficulties when saving articles to other apps. such as Pocket. it’s 2.7 rating in the Google Play Store tells you all you need to know. If the quality of the Gannett papers is as advertised I have trouble believing that anyone will actually pay for the product going forward. Their lack of investment in the paper may actually turn out to be penny wise and pound foolish. Thanks for shedding light on this history and the likely new Milwaukee journalism order. It’s even more scary at a time when one party has consolidated all power at the state level and MKE’s county exec is grabbing more power than any such position in the state. John Nichols co-wrote a book on the subject, I think called the Life and Death of American Journalism. When the business of government and other topics are not being covered, public officials can operate easily and comfortably in secret. Alternative media, including nonprofits can fill in some of the breach. But it’s still a major loss for the community. To that note, we cancelled the Journal years ago and started getting the Freeman. It’s called a free society, competition. Build a better product and you will survive. RIP Milwaukee Urinal. New Berlin, You may choose to believe your own ideas on what happened to the Journal Sentinel, but they are wrong. John Tornius spelled it out quite clearly and concisely – online advertising sites gobbled up the revenue that sustained newspapers for decades. And Torinus does not blame someone else. He correctly blames newspaper publishers for failing to respond to the competitive threat posed by Craig’s List and others. To suggest that the Waukesha Freeman is a better publication than the Journal Sentinel is an equally ludicrous assertion. – Tom Held, Milwaukee Journal Sentinel reporter 1985 to 2011.